Note This is the easy version. Try transposing the chords (+2 or maybe +3) to get the same key as the recording. Could it be you feel for me, in any possible similarity? But I see you, but I see you, but I see you, but I see you, but I see you.. There are multiple bands/artists under the name Mika. 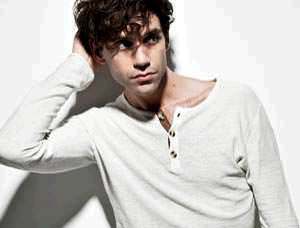 1) Mika (born Michael Holbrook Penniman in 1983) is a Beirut-born, Paris and London-raised, London, UK-based singer who has a contract with Island Records and used to attend Westminster School. He first appeared on BBC Radio 1 in September 2006. He has a background in classical songwriting. His long awaited first album Life in Cartoon Motion was commercially released on 5th February 2007. It has a coming of age theme, and deals with the transition from childhood to his current position in life. .